Home > Summer Camps > What is a Summer Camp? The summer camp is a bit of an alien idea to most British people, although, in recent years, it has begun to make some inroads even here. In some other countries, however, it is a long-established tradition and a very high proportion of all children will participate in summer camp activities. Summer camps are places to which parents send their children during the summer, usually for a month or two. The idea is to keep the children occupied during their break from school, and to give them interesting experiences which will help them explore new things and develop socially. Most camps are residential in that the children sleep there while participating in the camp programme; in some the children return to their own homes at night; and still others allow both options. In the past, summer camps tended to focus on offering a wide range of vigorous physical activities to the children such as canoeing, orienteering, playing tennis or camping. Nowadays, this is still true to a large extent, but greater scope is also now given to non-physical activities, perhaps learning a musical instrument, participating in debates or theatre activities, or enhancing computer skills. Some camps even offer formal educational courses with qualifications which can count towards university entry. Look in a summer camp directory and you will see a broad range of experiences on offer. What this means in practice for someone wanting to work abroad is that there is a sudden spike in demand for labour to do the kind of jobs that need to be done in the camps. That’s why summer camps are great news for those looking to work abroad briefly with a minimum of red tape. The camp administrators will be used to all the procedures, including bureaucratic ones, required to recruit a temporary workforce, coming, at least partly, from abroad; and they can help smooth the way for you. Often, large camp organisations send or maintain staff in the UK to recruit from here regularly. The camp jobs will be wide-ranging in nature, but many require no special skill or experience. Youth is seen as a plus point in the applicants as many of the activities are quite energetic and involve running around with the children. Most of those who supervise the children are, in fact, quite young people themselves just out of school or still at university. Usually these “counsellors”, as they are often called, although camps sometimes develop their own nomenclatures, are given charge of a specific group of children, and will get to know them personally. They will be responsible for looking after them, making sure they enjoy themselves safely, and may even sleep in the same dormitory area to watch over them at night. If running around with a bunch of children isn’t really your thing, there are other jobs to be done in the camp too. 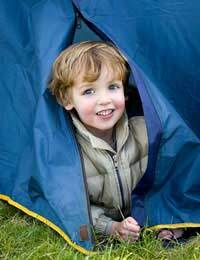 Many camps include educational programmes in which the children are taught specialist subjects. This clearly requires some degree of prior knowledge on the part of the teacher. And there is certain amount of administrative work to be done in the camps too. Since many of the camp counsellors are themselves inexperienced young people, they, in turn, will have to be supervised by those older and more experienced. Of course, there are also unglamorous jobs such as washing dishes and doing the laundry which someone always has to do. Usually you are required to pay something for the chance to work at a summer camp. Arrangements vary, but you will normally receive pocket money while you are there, plus perhaps a fee after you leave. Camps are often in isolated rural locations, so your opportunities for seeing the country more generally while you are there may be limited or non-existent. Typically, though, your stay at the camp is structured in such a way that you will have a few weeks left on your visa afterwards, so you can do the tourism thing then, and the camp organisation may even be able to help you through the provision of discounts, information or places to stay. Working at a summer camp is one of the most readily accessible ways to see another part of the world. Many people find the experience of being there personally enriching and even life-changing. Holiday Rep or Summer Camp? Are You Suited to Working at a Summer Camp?